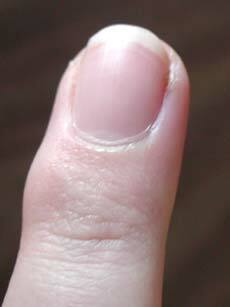 An ingrown toenail is a change in the shape of a nail which causes it to dig into the skin rather than sit on top. Typically occurring in the big toenail, the nail grows into and penetrates the skin on either or both sides of the nail. 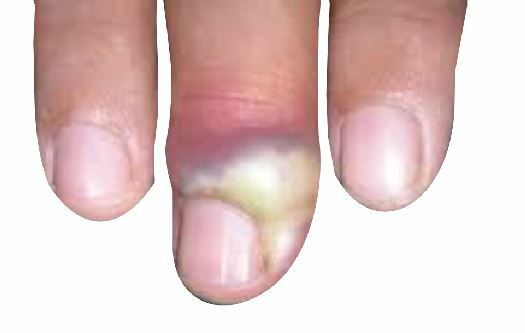 Wedge a small piece of cotton or gauze under your nail if the infection is caused by an ingrown fingernail, suggests Drugs.com. If the nail is ingrown, continue placing cotton under it until your fingernail has grown long enough for you to trim it straight across. This will help prevent a recurrence.